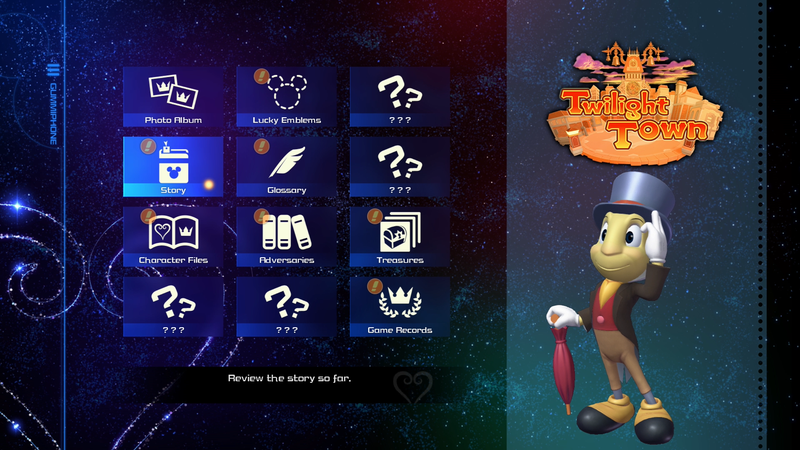 I played all the way through Kingdom Hearts III. I played it extremely underlevelled. I did this because I love a challenge and because I was in a hurry. I also did this for you: my struggle forced me to play the game well. That means, buddy, I got tips. Hey! I explain all of these in a rapid-fire fashion in the *SPOILER-FREE* gameplay video above! If you want to watch that, wow, that’s nice of you! 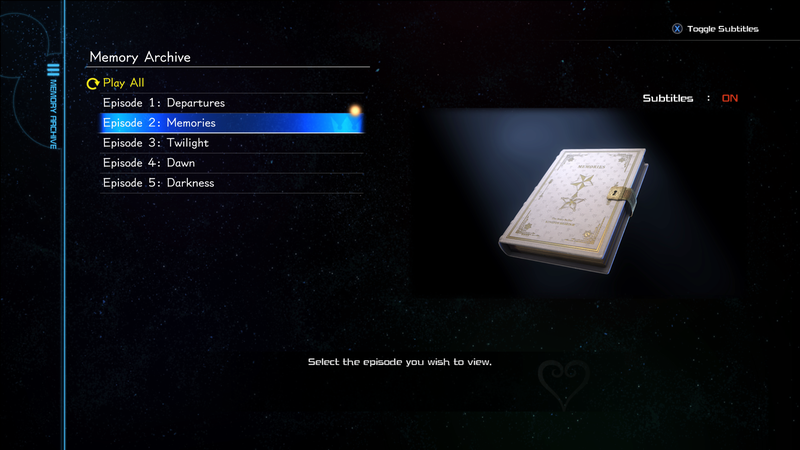 If not, that’s OK.
As I said up top, I played Kingdom Hearts III underlevelled. I played straight through. I barely stopped. I arrived at the final boss on level 40. This was probably too low of a level. On the world map, every area has a “Battle Level” number. 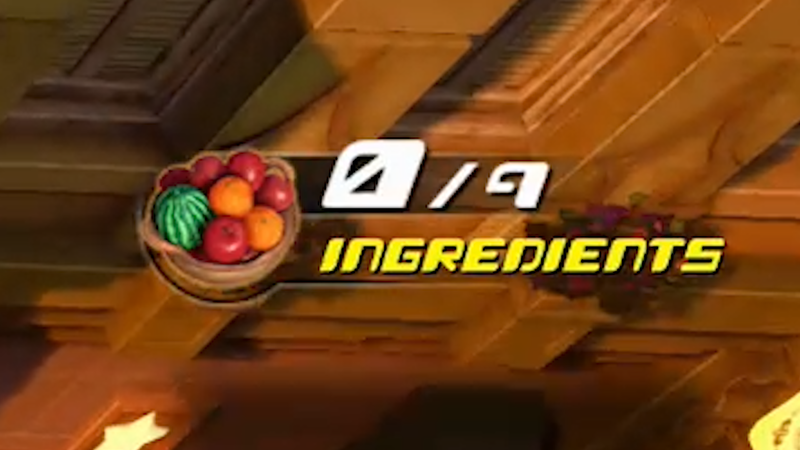 This number is usually the level I was on after beating the big boss of the next world. That’s how underlevelled we’re talking here. I like to play underlevelled in a game with a levelling system because it forces me to learn to play well. The little things I learn might then be useful even to someone who does not wish to play underlevelled. 2. You get every one of your necessary abilities and all of your magic spells by beating bosses, not by levelling up. 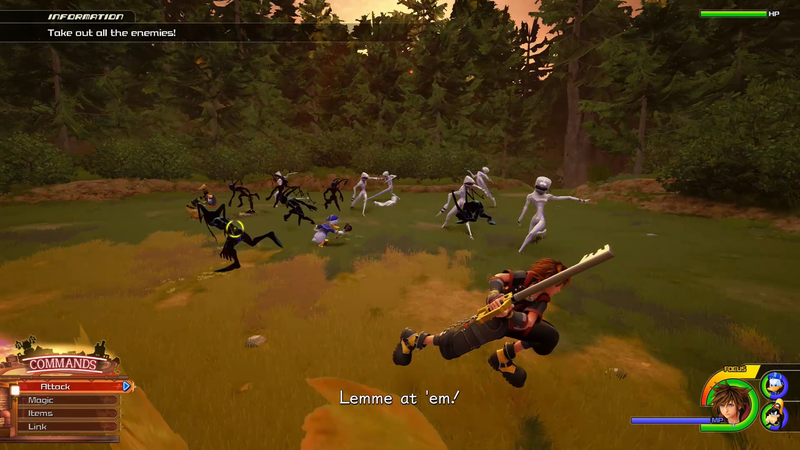 If you don’t want to necessarily break the game though you also don’t want to get your clown shoes thrown down atop your bones in a shallow grave, I’d suggest this: there are a lot of enemies in Kingdom Hearts III. Fighting is pretty much the whole point of every level. Just fight all of the regular battles you encounter as you progress through a level. If – oops! – you get lost and come back around to a place you’ve already traversed and you trigger a battle there again, just fight it again! Consider it practice for the wild trials to come. The further I got in my purposely underlevelled playthrough, the more I encountered the utility of the “prepare and retry” screen. I was short on money for most of the game because of my devotion to staying underlevelled, though wherever I could I had made time to buy multiples of each new armour and accessory. 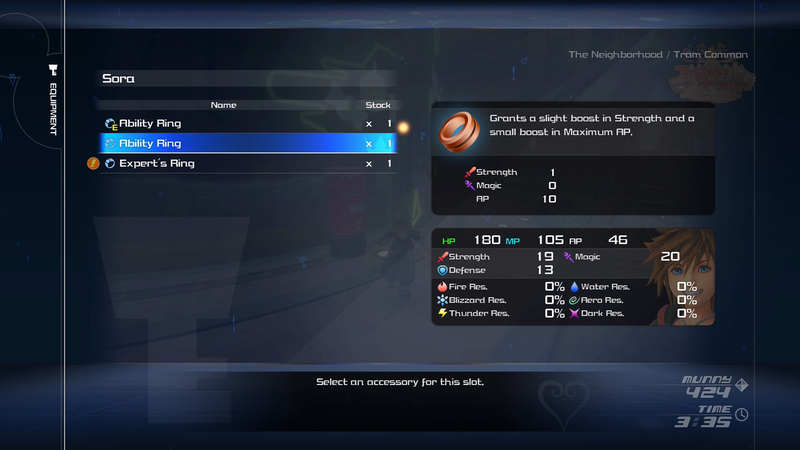 Sora, Donald, and Goofy can each equip multiple pieces of armour and multiple accessories. As they progress through the game they’ll earn more slots. When you buy new equipment to put in these slots, you’re choosing from a few broad categories. Accessories might increase the wielder’s physical strength or magic. For some hard battles, I gave Sora three of the strongest available magic-enhancing ring, and for some, I gave him three of the strongest strength ring. For some, I gave him two of one and one of the other. Sometimes I stacked elemental defences. The key takeaway is, battles got easier when I committed to choosing a side – for example, magic or attack – and tipping my equipment loadout in its favour. Trying to achieve a perfectly balanced statistical profile is not the way to win, here. Soft lock is a yellow reticule. Hard lock is blue. Here I’m facing a big group of enemies, so I’m staying soft locked. Over time you’ll realise soft lock is the champion. You can’t turn soft lock off, so just consider it an indicator of what you’ll hit when you attack. When you’re close to an enemy, you’ll see a yellow soft-lock reticule. The hard lock reticule is blue, so this makes the yellow reticule a perfect contrast. I’d encourage you to familiarise yourself with the automatic selection logic of the yellow reticule early so that it’s second nature later. If you’re good enough at knowing where that yellow reticule is going to snap to, you can battle while wheeling the camera wildly around to perceive attacks. This is crucial when you’re idiotically underlevelled like me. 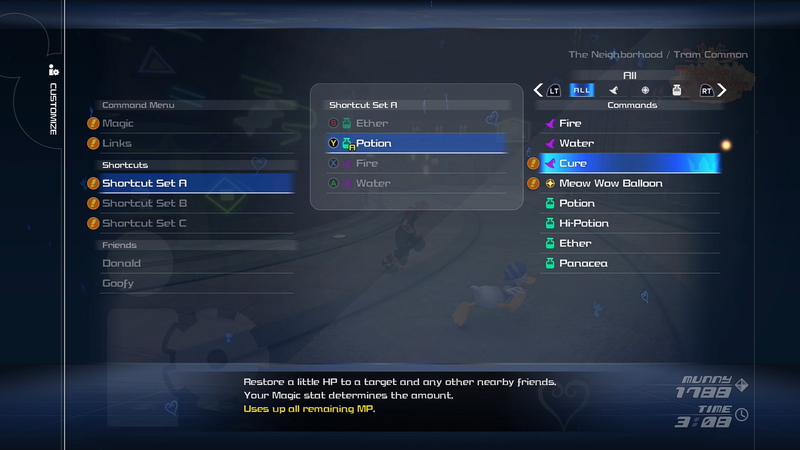 I played Kingdom Hearts III on Xbox One X with my Xbox One Elite Controller, and because (as I have said a hundred times already) I was playing purposely underlevelled, I needed to maximise the use of my hands. So I used all four rear paddles on the controller. Pressing the shoulder buttons hyperextends my index fingers, making my analogue stick movements less precise. So I put the shoulder buttons on the upper rear paddles, giving me access to lock-toggle with my right middle finger and shortcuts with my left middle finger. For my second paddle-mapping toggle on my controller, I had shortcuts on the top left paddle and the down directional button on the bottom left paddle, so I could flip through three decks. Then I put two of the face buttons (attack and block) on the right paddles so that I could quickly access six different shortcuts without taking my right thumb off the analogue stick. Kingdom Hearts III’s combat is so electrically fast and Sora’s block has such a long windup (I eyeballed it at about six frames!) and short duration that blocking might feel like a crapshoot to you the first couple times you try it. Once you get enough hours into the game, you’ll unlock “reprisals,” which are follow-up attacks you can perform in a short (around 48 frames) window after a successful block. 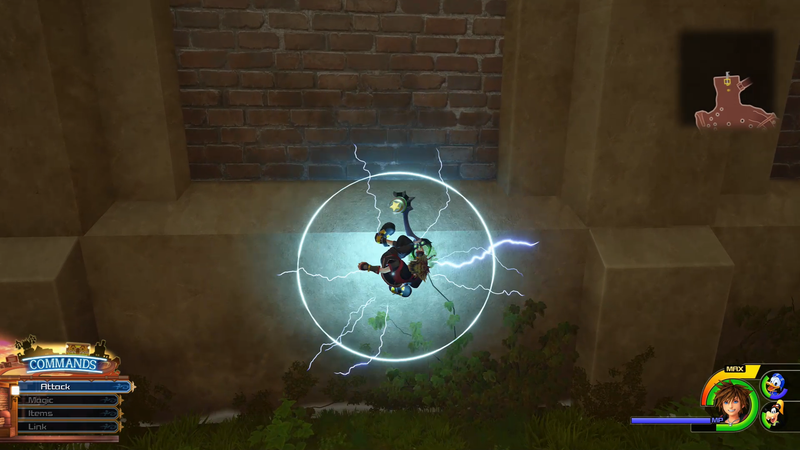 These are often tide-turning, combo-ending, boss-breaking manoeuvres that position good boy Sora in the prime position to cheese a boss into a pile of trash. 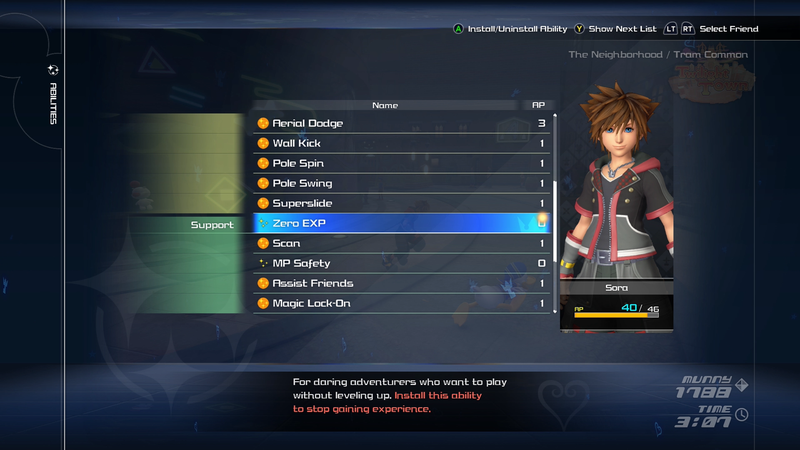 Super-late into Sora’s ability progression you’ll unlock the ability to perform special reprisals after performing an in-air recovery. These are wildly game-breaking in your favour. While an underlevelled playthrough of the game is possible (bragging a bit: I’m living proof) it is excruciating to deal with these attacks in the endgame without red-eyed frame-perfect blocks and dodges. The same goes for the “Lockshot” ability, with which you can hold the right bumper to first-person aim and tag targets for Panzer-Dragoon-style homing missile destruction. 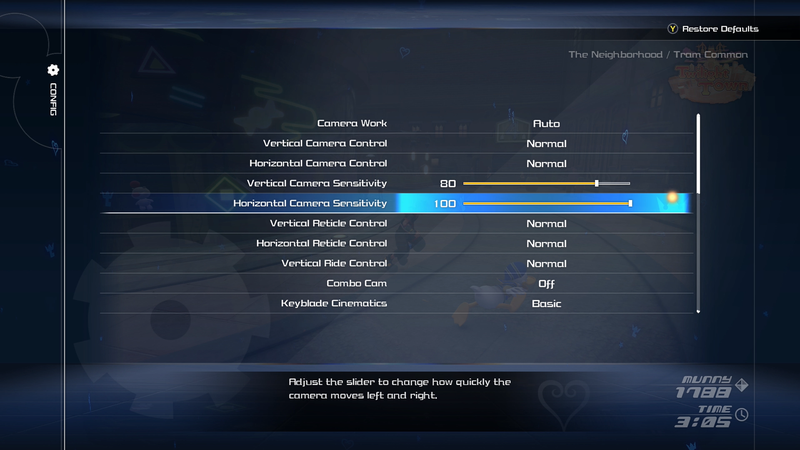 Each Keyblade has multiple Lockshot behaviours, depending on the number of targets and the “formchange” state of the Keyblade. You want to figure out which ones of those are things your playstyle appreciates. Personally, I liked the ones that did big ugly damage. 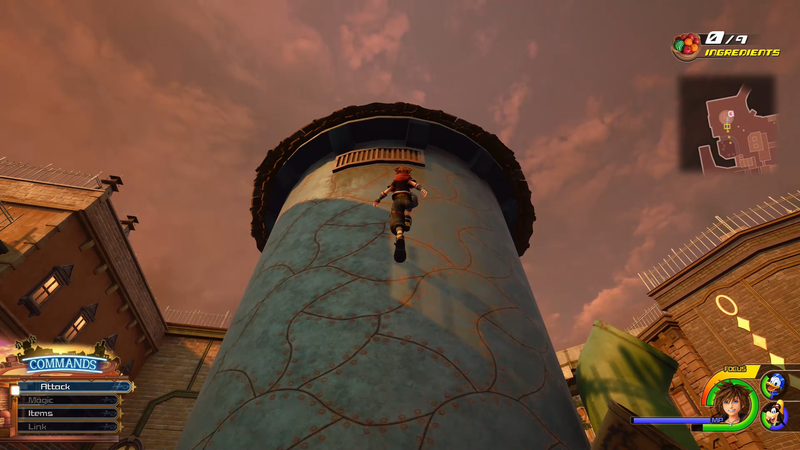 If you press the dodge button and tilt the analogue stick in midair, Sora will do what the game calls “Flowmotion.” It means he dash-slides toward an interactable object with a flair for style. 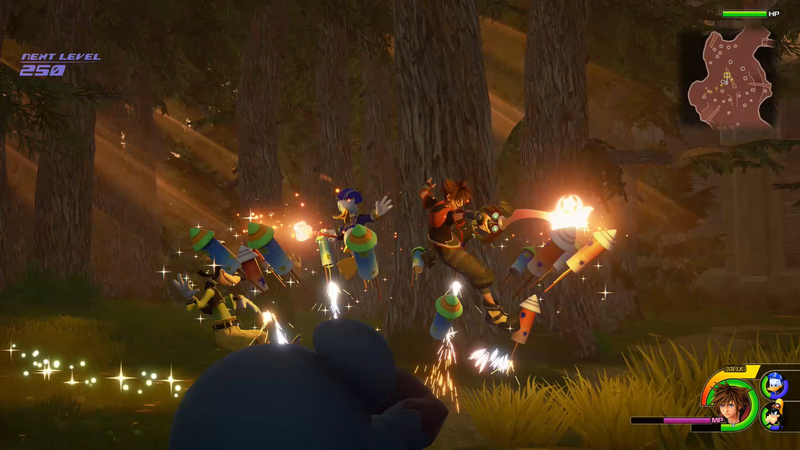 Any glinting object in a battleground is a target for “Flowmotion.” Do it against a tree and Sora will gymnast-swing upon a branch. Press an attack from this state to deal much more damage than in some boring on-the-ground state. I found myself forgetting about these stick-shifty techniques until dying for the third time on a tough fight, when I realised I could be wall-running a lot more. The game gives you the Blizzard spell very early. It’s not until much later in the game that you’re required to use it to move super-fast to catch up with something. It took me exactly this long to realize this little perk. Look, I’m sorry. I just – I can’t even tell you what I did. I just know that after an hour it was over and I wasn’t crying anymore.